Personalised Products To Reminisce About Recent Adventures! 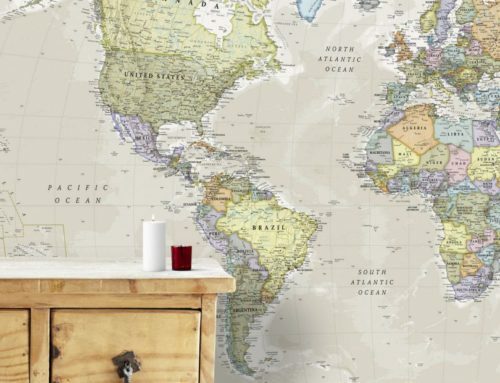 Here at maps international we have designed many different personalised products. In this blog we will take you through 5 of our favourite products that are great gifts for yourself, family or friends. When trying to find the perfect gift for someone, it can be even more difficult in the run up to Christmas! But a way around this problem would be to give a personalised gift. It will be seen as a thoughtful, special and the recipient will be forever grateful. 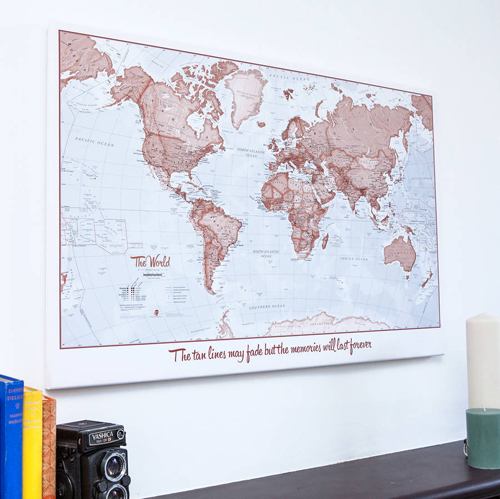 The Scratch the World print is a little different from the other personalised products. In this concept, you will buy the map but over time personalise it to your adventures! 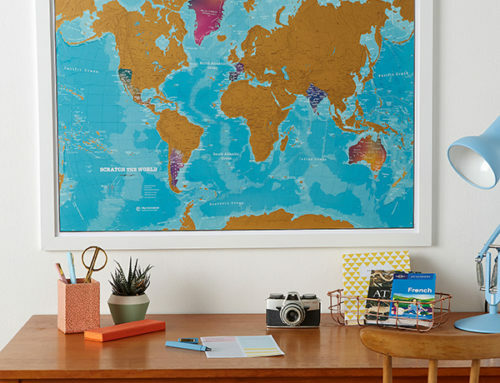 This means that you, your family and friends will all have different maps and will be able to show your unique travel story. After a recent trip, simply grab coin and scratch off where you have been lucky enough to travel. 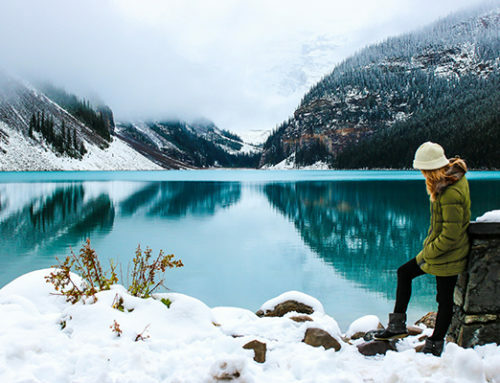 This is the perfect gift for a travel enthusiast. The collection also includes a print for the male audience, our Black Edition, a Kids Adventure print and a Europe print. 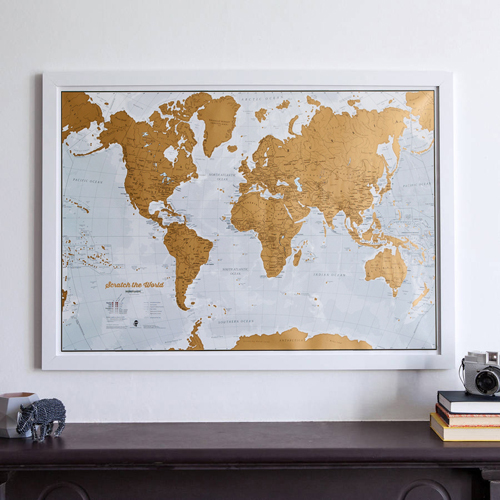 Our World is Art Map is a stylish map design with a choice of elegant colour tones that will suit most room schemes. 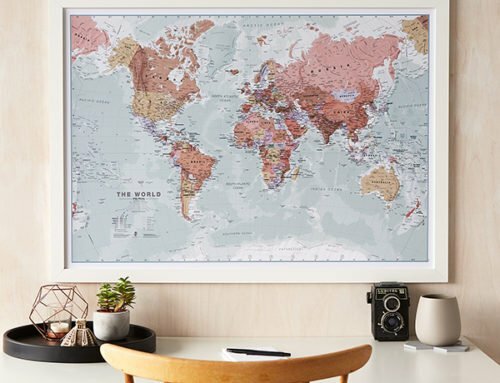 This personalised map is a perfect opportunity to reminisce about recent travels and planning new trips in the future. You can choose a title and subtitle for the map and can also personalise it with pins and travel tags. There are also a choice of 6 colour designs and a variety of finishes that include board mounted and a white wooden frame. 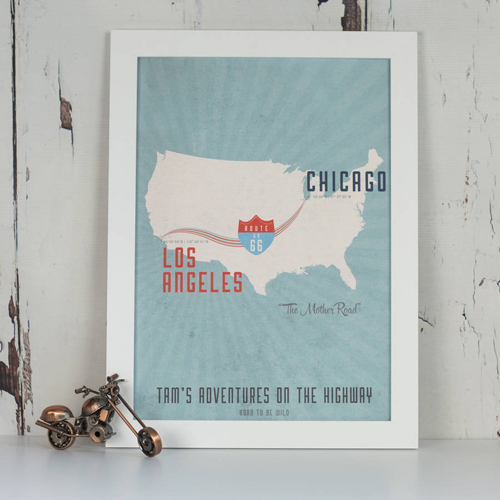 This map is our Route 66 map print with optional wooden frame to celebrate your epic journey. 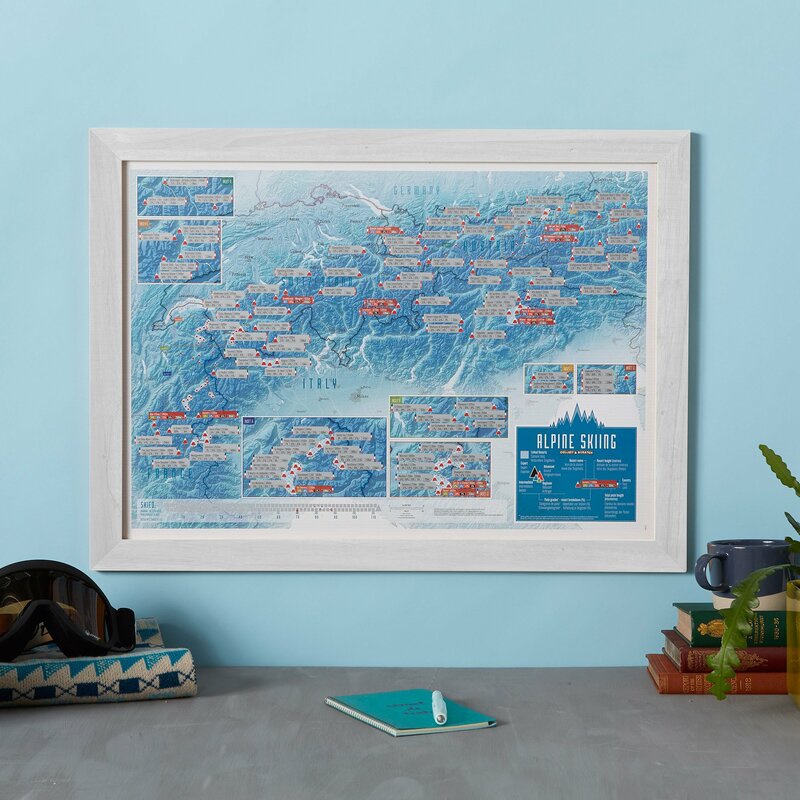 This retro print shows the iconic Route 66 that historically ran from Los Angeles to Chicago, famously known as ‘The Mother Road’ of America. This would be the perfect gift for any Route 66 or American culture enthusiast. This map is part of our iconic routes collection. 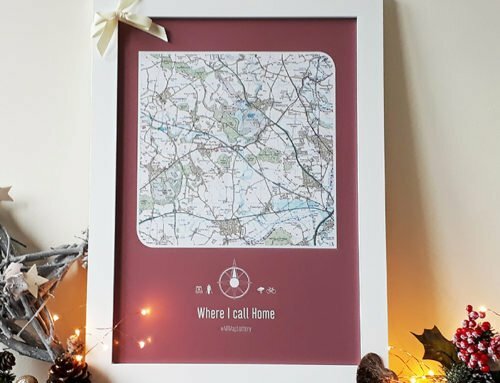 The collection also includes a three peaks map print, Backpacking South East Asia map print and a Land’s End to John O’Groats print which can all be personalised. 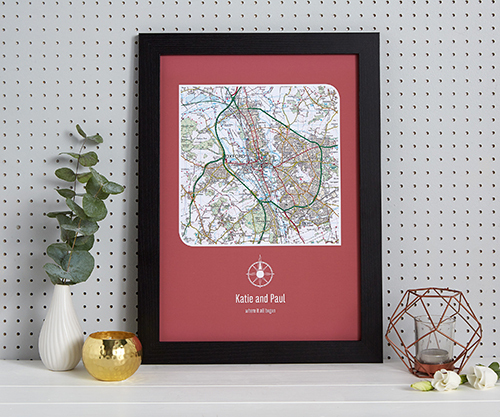 Our Personalised Map Centred on any Postcode is a great way to create a custom map of any area in Great Britain. You choose the centre location by postcode; this could be your home, a friend’s home or maybe a favourite walk. Not only can you centre the map on your postcode, you can personalise the map by choosing a border colour, title and / or subtitle. 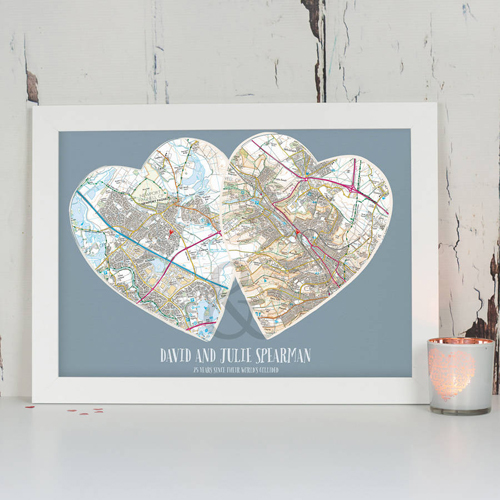 The final product is our personalised couples map. This is a truly unique and thoughtful hearts print for a loved one. Simply choose the two centre locations by postcode of any area in Great Britain. This could be places you met, where you married or memorable holidays together. 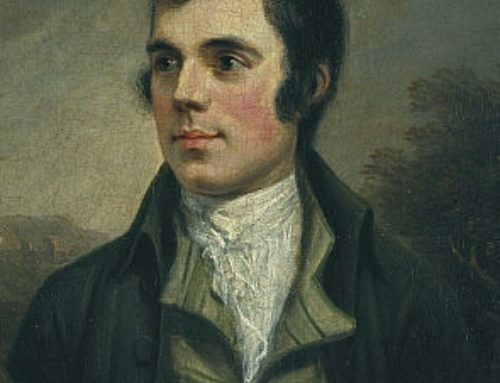 You can also personalise it by adding a title and/or a subtitle. 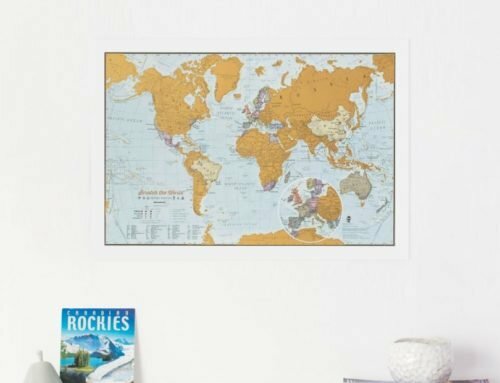 This map can also be supplied with a white wooden frame.